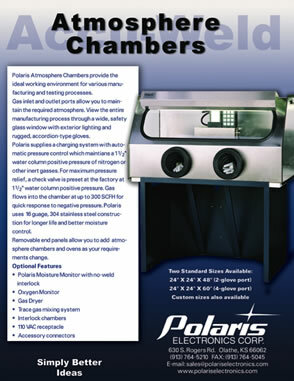 Polaris Atmosphere Chambers provide the ideal working environment for various manufacturing and testing processes. 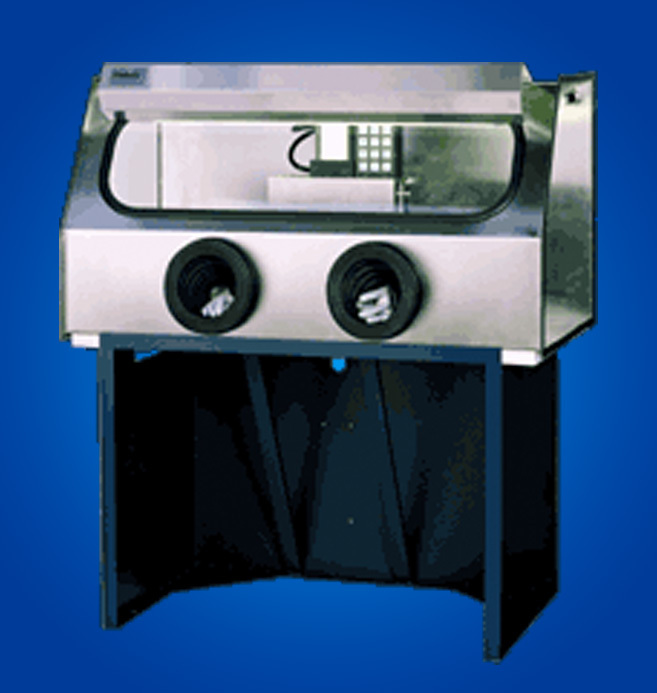 Gas inlet and outlet ports allow you to maintain the required atmosphere. View the entire manufacturing process through a wide, safety glass window with exterior lighting and rugged, accordion-type gloves. quick response to negative pressure. Polaris uses 16 gauge, 304 stainless steel construction for longer life and better moisture control. Removable end panels allow you to add atmosphere chambers and ovens as your requirements change.